Since football re-commenced after the Second World War Manchester United’s influence on its players has been immense. There have been many great and some rather inferior players who have pulled on the famous red shirt in the past six decades. However, what all the players have in common is that they have all come under the guidance of the Old Trafford managers’ ; from Sir Matt Busby to Sir Alex Ferguson. The influence of the two knights in particular has been powerful. After lengthy periods at the managerial helm, retirement came for both. However, the fact that so many of their players have become managers themselves is a terrific accolade to both men. Amazingly, 57 players who have played league football in the Manchester United first team have gone on to manage other clubs in their own right. This book tells the story of those 57 who have managed in either England, Scotland or the Republic of Ireland. Some, such as Steve Coppell and Mark Hughes are well known but others are not. Martin Buchan, for example, was in charge at Burnley for just four months before deciding he was not cut out for the rigours of football management. Other former United players such as George Graham found huge success gathering silverware while others such as Steve Bruce have moved from club to club without quite hitting the same heights – yet. Each of the 57 has his own profile in the book. For those who joined the club from other teams there is a short overview of their time prior to arriving at Old Trafford. 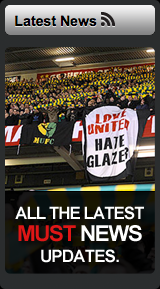 Playing careers at United are recalled as are post - playing ventures with other teams. Details of scouting, coaching, assistant and caretaker - manager roles are listed in chronological detail as are permanent positions in the managerial hot seat. Honours gained, league positions and reasons behind departures are all listed together with dates of the various coming and goings. Playing statistics are all detailed which cover not just players’ time at Manchester United but also for the other clubs they represented prior to hanging up their boots. 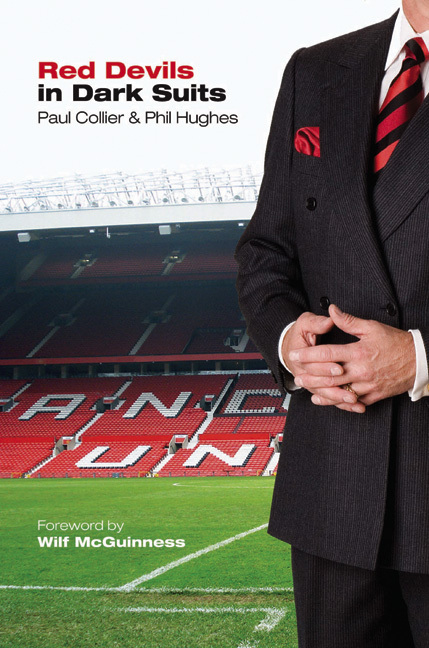 Foremost this is a reference publication, with a foreword by former Manchester United manager Wilf McGuinness. Researched and compiled by two Manchester United devotees, Paul Collier and George Best’s former agent Phil Hughes, it reveals to the inquisitive reader and primarily Manchester United supporter, the detail behind the 57 former Red Devils who were reborn in dark suits.